Luciana D'Intino is a wonderful Amneris, very charismatic and a strong voiced woman, a great actress, you feel that this is a real person. 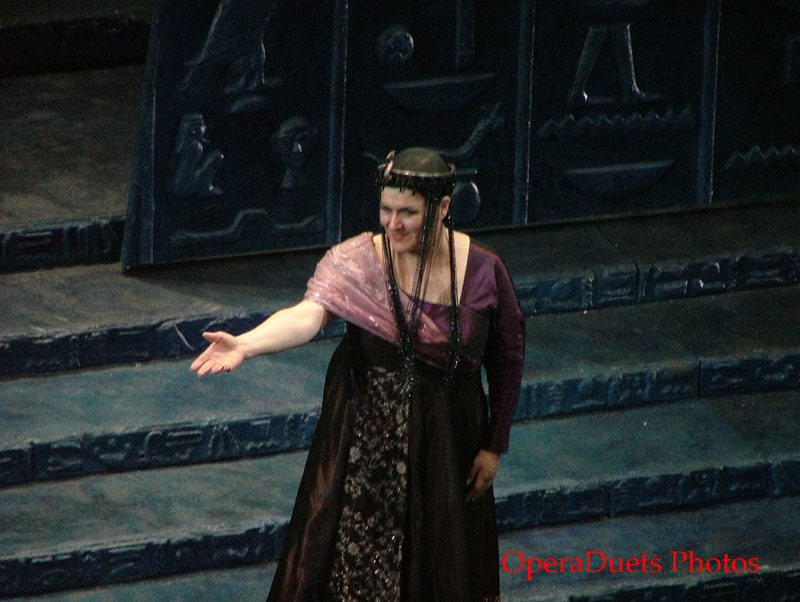 Daniela was a superb Aida. Fabio Armiliato was a great Radames, even though his voice seems a bit rough and not quite the same quality as Daniela Dessi. 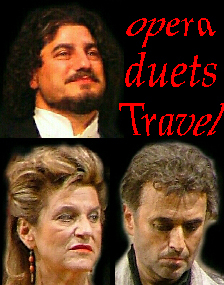 Juan Pons is a great Amonasro although he is no longer quite in his prime but he acts very efficiently and is still a great baritone master. Ramfis and the King was sung well enough and did their job. I found this production more attractive than the one in Verona, the ballet was good (I might even say that I liked it). So; a great operatic night in Parma!! Got a bit sick the day after, almost had to stay another night at Hotel Astoria Executive (I liked this opera) but in the end I managed to take the train back to Verona.